For the Fifth Annual POZ 100, we decided to focus on the future. For more than three decades, HIV/AIDS has been fought mostly by folks who were already adults when the epidemic began. In that time, a new generation has entered adulthood having only heard stories of the early days and never knowing a world without HIV. This new generation of advocates is fighting HIV/AIDS for a variety of reasons, but regardless of their motivation, these young people could be the ones to finally put an end to AIDS. 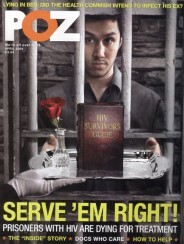 To support their efforts, the 2014 POZ 100 celebrates youth power. Once again, we reached out to the HIV community and asked you to nominate individuals for this year’s list. The 2014 POZ 100 highlights unsung heroes under the age of 30 who are taking a stand against HIV/AIDS. These young leaders come from across the country—and around the world. Some are HIV positive and some are HIV negative, which seemed appropriate since everyone, regardless of their HIV status, should be encouraged to join the struggle. 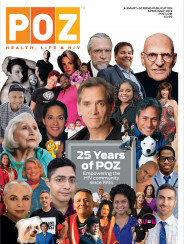 Click here to see a HuffPost slideshow of 2014 POZ 100 honorees.